Born September 22, 1942 in Odense, Denmark. At the age of five Henning was enrolled by his father into B1909 (Soccer Club). He played and trained as a goal keeper for the next eight years until his family immigrated to the United States in 1955. Upon arrival in the Utah, he started playing for SC Alemannia. Additionally he also played for West High School where he was the player/coach for three years (1958-1961). He starred as a striker and was known for his prowess around the goal. After graduating from High School, Henning joined AC Germania where he was awarded player of the ear. In 1966 he was recruited as a goalkeeper by Hollandia SC and accompanied the club on their tour to the Netherlands. In 1968 Henning join AC Alemannia for the next six years, winning several Daynes Challenge Cup Championships, touring with the club to Germany and Austria and also representing the Association in several All-Star games. Henning completed his playing days as goalkeeper for the Viking SC until 1976. After that Henning began his new career of coaching which he did with the Vikings SC. During this time the club won several League and Cup Championships. In 1983 Henning took his coaching experience to the Utah Youth Soccer Association where during that time he coached a number of different age groups winning five State Championships. 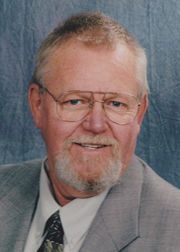 Henning also served as the Association’s Secretary for two years in the late 70’s. He also refereed for several years in the Association and Utah High School Soccer Association. In 1990, Henning retired from his active involvement in soccer.